Watersports Camp - 水上运动营 | Imagine. An exciting adventure in the water! 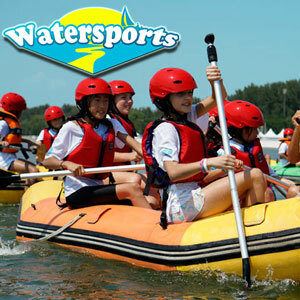 Kids will learn all kinds of fascinating watersports skills in Imagine's popular Watersports Camp in Shunyi, from sailing and kayaking to rafting and paddling. Learn how to balance on the paddleboard, play games on rafts, navigate the boat, using gained knowledge about the wind. Work towards your 'Learn to Sail Level 1' Certificate, let us teach you how to sail an Optimist boat by yourself! Note: Early bird price need to sign up and pay one month before the activity date.